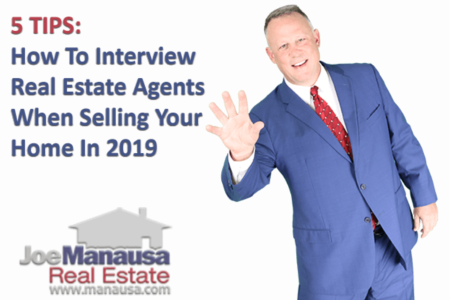 If you are getting ready to sell your home, you'll be excited to know that there is something new you can do in order to get more money from the sale. In Tallahassee, where our average home price this year is $212,001, this trick can equate to more than $18K in your pocket! Face it, digital marketing today is evolving much faster than traditional marketing evolved fifty years ago. If you are not up to speed (or in the case for home sellers ... if your real estate listing agent is not up to speed) on the best current tips and tricks in marketing, then your "reach" will be far less than it would with a modern marketing plan. 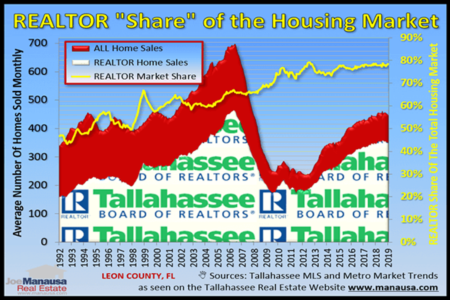 We have uncovered a new marketing technique that is putting more money in the hands of our home sellers, and we are willing to share it publicly because we know how hard it is to replicate and, in fact, will not be replicated by anybody else in the Tallahassee real estate market for a long, long time. 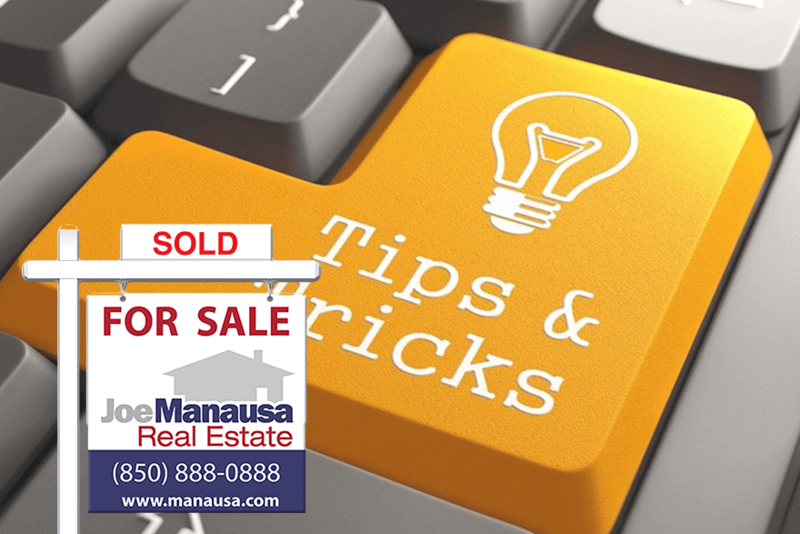 Before we reveal this great new marketing tip for home sellers, let's review some basics to ensure all prospective home sellers understand how the process for BUYING a home works, as home sellers DO want to ensure that their property appears to be what local buyers want to purchase. Of course, this is a generalization, but the big points have been covered. Ultimately, to get the most money for your home, you have to generate so much interest in the home that multiple (MORE THAN ONE) buyers compete for your home. This is a HUGE point. If one buyer is interested in your home, you negotiate. If more than one buyer wants your home, then these buyers must compete to see who gets to own your home. Which of these situations will you find more favorable when you sell? So always with marketing, whether in the olden days before the internet, or today with rapidly evolving technologies, the question top real estate marketers keep asking ourselves is "how do we get more real buyers involved in the sale of this home?" Long-time readers of the Tallahassee Real Estate Blog know that I often use the term "stalker" to identify the best buyer for your home. While you can read about my thoughts on stalkers here, suffice it to say that we want this person jumping at the chance to buy your home when you sell. The stalker has been waiting for a home to hit the market in your neighborhood, and it is highly likely this stalker missed-out on a home previously and thus is ever-vigilant and prepared to act fast in order to ensure that it does not happen again. In other words, there is a buyer out there that REALLY REALLY wants your home, so what we need to do is make every effort to enhance the appearance of value and demand for your home. We not only have to generate competition for your stalker, we also have to ensure that your stalker KNOWS there is high competition for your home. This is the "tip" that we are writing about today, and we recognize that it will be counter intuitive for many homeowners who have not really put a lot of thought into the home selling process (and that is why you want to work with a home selling expert who dominates the real estate marketing in your area!). 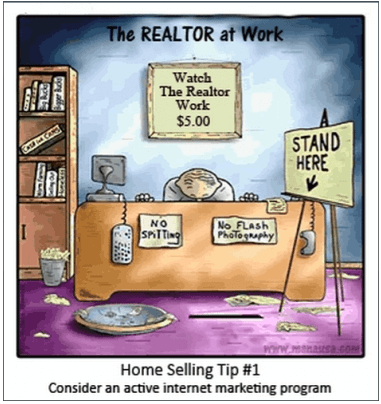 Most real estate agents do the same thing. They "sign you up," whip out their phones and take pictures, measure your home, enter the information into the MLS, and then wait for an offer to come in from a buyer. When the stalker sees the home hit the market, they jump on it and make an offer. They have beat everybody else to the punch because they know what homes in the neighborhood are worth and they don't want to lose out on buying your home. You get the offer, you negotiate with the buyer, and you walk away with a quick sale that appears to make you happy. But what would have happened if the stalker had seen fourteen other couples looking at the home the moment the house went live in the MLS? Specifically, what if the listing agent had been marketing the home BEFORE it went into the MLS, so the very minute it went "live" in the MLS, there were scores of buyers physically walking through your home, highly visible to the stalker? Do you think the stalker would make a stronger offer? Well, I can tell you, "YES" is the answer. The stalker has lost-out on a home in your area before, and the stalker does not want it to happen again. And if one or more of those other buyers like the home and make an offer, you get to tell all parties to sweeten up their offers if they would like the privilege of owning your home! We spend more money and generate more buyer interest for our listings BEFORE they hit the market than other real estate agents do during the entire time span they are actively in the market. This means that when the stalker jumps to make an offer, there is competition all around and the stalker knows it! 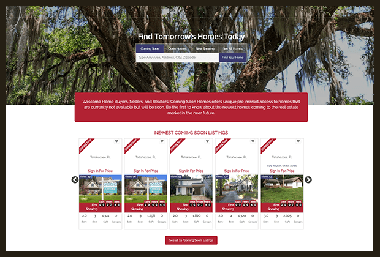 Check out our ComingSoonHomesTallahassee website, it is part of a national network of "coming soon" innovative real estate marketers who understand that increasing competition among the buyers nets more money for the sellers. We currently have 20 homes getting ready to hit the market, take a look at how many buyers have viewed each property already! We include a counter on each property so that the stalker knows how many others have already seen it. Is it working to get more money for home sellers! Absolutely, we have sold homes fast and for more than asking price quite often over the past several months. Buyers and stalkers are signing up every day so that they can get the first look at new homes hitting the market. And let me tell you, for owners who follow our pricing guidance, quick sales and higher net proceeds are being realized. In Golden Eagle, we listed a home that had been on the market previously with several other agents in the past. We used our coming soon program and targeting to expose the home to prospective golf course neighborhood buyers before it hit the market and it sold right away (specifically targeting certain buyers is one of the keys to this working so well). Ultimately, one thing will likely never change when selling a home. You want as many real, prospective buyers looking at your home the moment it hits the market, so you have to have a process that gets the word out BEFORE the home is available. Our coming soon homes website is today's answer! Want to know more about how we can get you top dollar for your home? Just drop me a note and we'll be in touch right away!